Click here to view Deb's Liturgical Wake Service. Click here to view Deb's Mass of Christian burial. 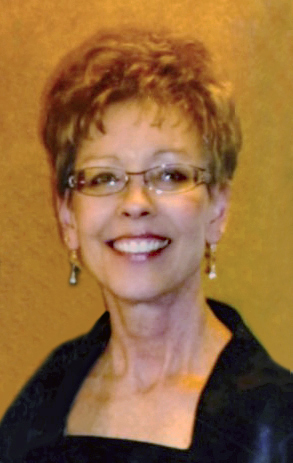 Debra “Deb” Sue (Randall) Barnett, 63, of Aberdeen, passed away Saturday, August 11, 2018, at Avera Mother Joseph Manor in Aberdeen, SD, following an extended battle with cancer. Mass of Christian burial will be 11:00 a.m., Thursday, August 16, 2018, at Sacred Heart Catholic Church, 409 3rd Avenue SE, Aberdeen, with Father Mark Lichter as celebrant. Burial will take place at Sacred Heart Cemetery. Schriver’s Memorial Mortuary and Crematory, 414 5th Avenue NW, Aberdeen, is in charge of arrangements. Friends may sign Deb’s online guestbook and also view her service via the live stream service link at www.schriversmemorial.com. Visitation will be 5-7 p.m., Wednesday, at Sacred Heart Catholic Church Fellowship Hall. A liturgical wake service will follow at 7:00 p.m. at Sacred Heart Catholic Church. Visitation continues one hour before Mass at the church on Thursday. No visitation will take place at the mortuary. In lieu of flowers, Deb’s family prefers memorials to the Aberdeen Catholic Foundation-Roncalli Student Tuition Assistance Fund, 202 South Main St., Suite 314, Aberdeen, SD 57401. Debra Sue Randall was born February 11, 1955, to Earl and Arlene (Simon) Randall in Brookings, SD. She attended Sacred Heart Parochial School and Roncalli High School through her Junior year. Deb then moved with her family to Sioux Falls and graduated from O’Gormon High School with the Class of 1973. Following high school graduation, Deb furthered her education at South Dakota State University in Brookings and graduated in 1978 with a degree in Public Recreation. She was the first female collegiate swimmer on the SDSU Swim Team and participated as an excellent varsity swimmer throughout her college career. Blessed to have shared Deb’s life are her husband of 40 years, Joe Barnett of Aberdeen; her four children: Steve (Nicole) Barnett of Pierre, SD, and Eric Barnett, Megan (Dan) Ogren and Joey Barnett, all of Aberdeen; eight beautiful grandchildren: Maria Barnett (13), Isaac Ogren (4), Julia Ogren (2), Kathy Sue Ogren (7 months), Emma Barnett (7), Henry Barnett (5), William Barnett (3) and Lily Barnett (2); her parents, Earl and Arlene Randall of Aberdeen; her sister, Vicki (Jim) Bruse of Sioux Falls; her brother, Dana (Becky) Randall of Aberdeen; and five nieces and nephews: Erin (Rob) Mitzel of Sioux Falls, SD, Lindsay (Mario) Gourde of Aberdeen, and Jarod Bruse, Amanda Randall, and Kaitlyn Randall, all of Sioux Falls.